twentieth century'. 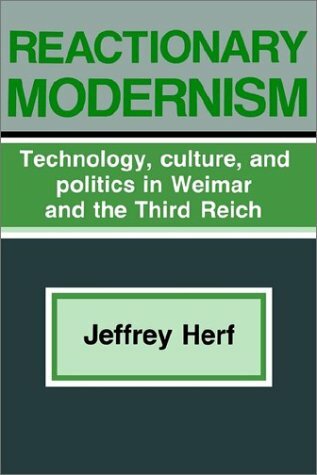 By associating technology with the Germans, rather than the Jews, with beautiful form rather than the formlessness of the market, and with a strong state rather than a predominance of economic values and institutions, these right-wing intellectuals reconciled Germany's strength with its romantic soul and national identity. Jeffrey Herfis a Professor in the Department of History at the University of Maryland in College Park.